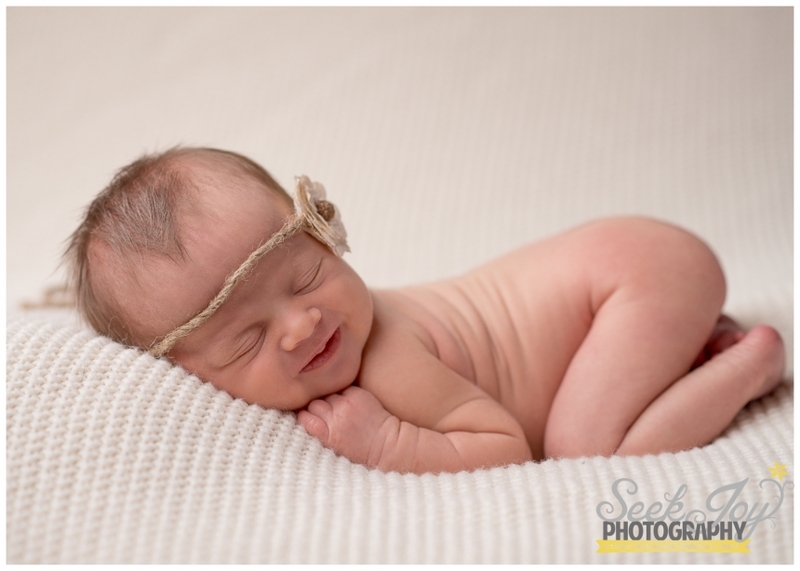 One of the things I love about being a newborn photographer in the Greenville area, is the fact that parents entrust me with their tiny new babies. Lilia Grace was born a little early; therefore, she was petite and small. The little noises she made reminded me of a mouse–sweet and small. Like most newborns, Lilia felt safest when swaddled. Swaddling a baby tight with their arms secure by their side is a great way to soothe them as it prevents their startle reflex from waking them up again. I was able to get several shots of her in her birthday suit as well once she fell into a deeper sleep. 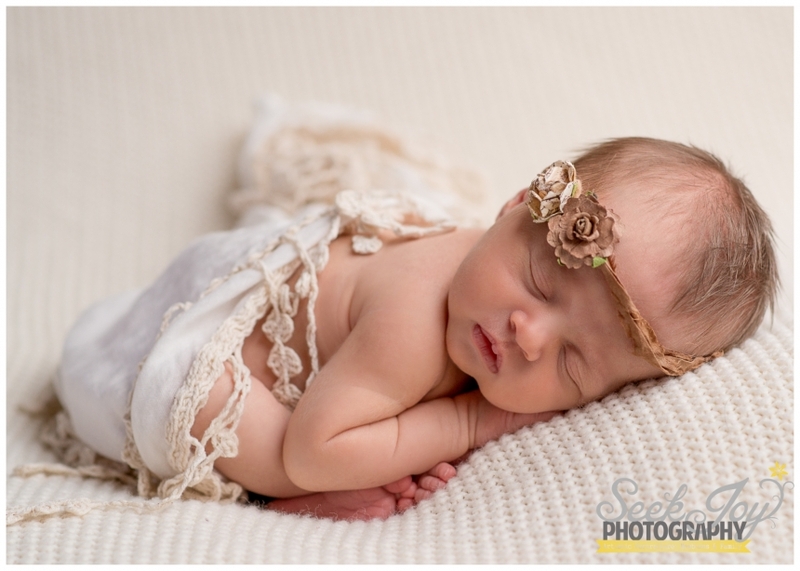 Lilia had several hand made items she wore during her photography session with me. She was around the holidays as well as the Super Bowl. The knit items worked well to go along with both of these themes-especially since her parents are Packer Fans. Lilia is the first grand baby in her family as well. 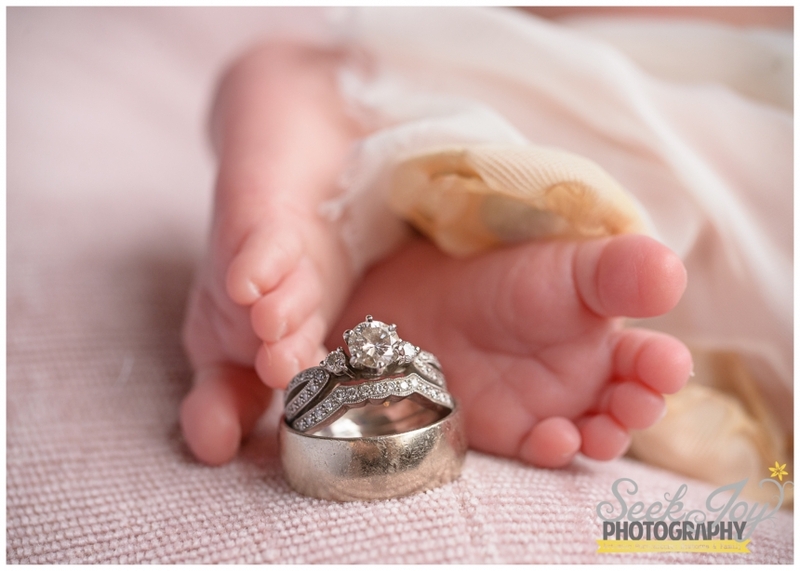 This session was a result of her grandmother providing a gift certificate to the new parents. Providing gift certificates to new parents is always a great idea as this results in family heirloom art that only gains value over time. If you are interested in purchasing a gift certificate for someone expecting, be sure to contact us at katie@seekjoyphotography.com to find out more details! © 2019 Seek Joy Photography|ProPhoto Site by NetRivet, Inc.